Thanks to Liquid Image, whether you love to snorkel, scuba dive, swim, or even go spear fishing, you can now record all the action with these awesome video camera goggles. You can then edit or post the footage to show the world the amazing sea life you get to experience! Let your friends and family know what it feels like to get up close and personal with a stingray or school of reef fish. To operate the Liquid Image goggles simply turn on the camera, choose the mode then press the shutter button. LED lights inside the googgle indicate the mode to the user. Record your antics then upload to your computer using the USB cable provided. It’s too much fun! There are three types of goggles in the Underwater Range. The Explorer Series 302 is great for snorkeling, swimming and playing in the pool. It can go to a depth of 5 metres and shoots video at 20 frames per second at VGA quality. 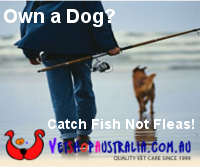 It can shoot stills up to 5 megapixels and comes in a bright yellow colour making you visible in the water. The next level underwater mask is the VideoMask 310. This little beauty shoots DVD quality footage at 30 frames per second. It can be used at a depth of 20 metres and also records sound. 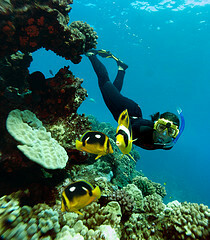 It’s great for snorkeling, and shallow and recreational dives. It looks very sleek in black and red. For serious scuba diving, spear fishing, and deep diving, the Scuba Series HD320 is the go! It shoots HD quality at 30 frames per second up to 40 metres. This mask also records sound and has a ‘straight to TV’ playback option. This is the blue mask in the range. Both the VideoMask 310 and the Scuba Serise HD 320 have attachments for optional lights and all three masks can record onto a Micro SD card. These underwater goggles run on AAA batteries and can record over two hours of video before the batteries will need to be changed. To find out where you can get your hands on these amazing underwater goggle masks go to http://www.activeoutthere.com.au/ for stockists details. The Explorer Series sell for $199, the VideoMask 310 costs $299 and the Scuba Series HD will set you back $399. 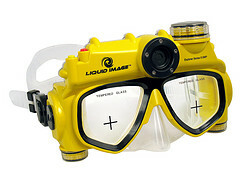 FishMax has a pair of the fantastic Liquid Image Explorer Series 302 Video Dive Mask to give away, valued at $199! For your chance to win this great pair of video goggles, click here!